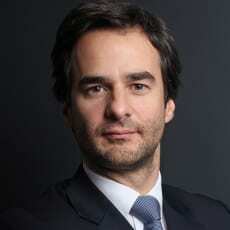 Nuno Salazar Casanova has been a litigation lawyer at Uría Menéndez – Proença de Carvalho’s Lisbon office since 2004. He was made partner of Uría Menéndez – Proença de Carvalho in January 2015. Nuno has been actively involved in national and international arbitration and litigation related with derivatives and other financial products and has advised leading banks and other financial institutions on some of the largest and most complex cases. He leads high-profile often cross-border disputes, including regulatory investigations and enforcement, class actions and other major reputation-threatening litigation, especially where a global strategy is required to deal with litigation that is intertwined simultaneously with civil, criminal, regulatory and administrative issues. He also represents clients in insolvency and restructuring proceedings, and has participated in numerous cases involving multiple jurisdictions. He is a member of the supervisory board of Fórum Penal - Associação de Advogados Penalistas, a member and secretary of the Associação Portuguesa de Arbitragem, a member of Club Español del Arbitraje and a member enrolled in the list of arbitrators of Concórdia – Centro de Conciliação e Mediação de Conflitos. He is author of several publications on arbitration, financial litigation and insolvency.